Every year, hundreds of lifelong truck drivers grow nearer to their retirement. After clocking thousands of miles driving all across the United States, it comes time to consider what’s next. For many drivers, retiring from trucking is exciting, although it can also bring certain challenges and anxieties. Like many different professions, trucking also requires a significant amount of planning before retirement is within reach. So what are the main things truckers need to know? We’ll discuss that here today! Of course retirement something most everyone considers at some point, although the earlier you do the better! Although it’s the end of your career, retiring from trucking is the beginning of a new phase of life. According to a Gallup poll, the average age for retirement in the United States is now 61, up from 59 a decade ago. Today, people are waiting several more years to retire and the reasons are simple. Most people aren’t ready to stop working, they need financial security, and the healthcare benefits many company-driving jobs provide are invaluable. As very common thoughts for most retirees, truck drivers end up considering a lot of the same things. For each year spent working, most experts say you should have two to three years of retirement coverage. Being able to cover all of your expenses with enough left over to continue living a healthy and comfortable life are the main goals. So long as your nest egg remains intact until your actual retirement date, you should be in a good place financially. In some trucking company situations, benefits rise an additional 8% for each year you delay taking these benefits between 62 and 70. 2. Is my Nest Egg Enough? In order to tell whether your nest egg is truly prepared for retirement, you’ll need a balance sheet. This will help you break down your assets and liabilities to determine your net worth. Taking into account all of your personal possessions of value like jewelry, real estate, automobiles, and other valuables helps to determine what non-monetary wealth you have. Generally speaking, figuring out what debt and legal obligations you have constitute your liabilities. Next, you’ll need to generate a list of your monthly expenditures in order to calculate how much you need to live comfortably each month. Be sure to account for any and all expenses, especially those emergency funds! Years of wear and tear from trucking have probably made you acutely aware of what medical costs you’ll want to consider in retirement. Although it’s incredibly difficult to predict exactly how much money you’ll need to dedicate to medical expenses, this can’t be overlooked. As more and more costs shift to consumers, it could be wise to take a close look at this area of your expenses in the coming years. 4. Do You Have a Clean Slate? 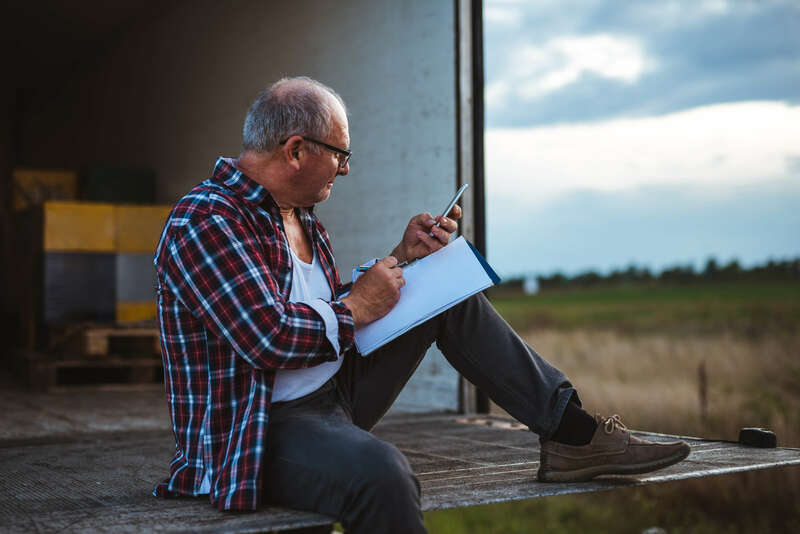 Once retiring from trucking is finally within reach, debt can often put a damper on things… If you have high balances on your credit cards, loans, or any other outstanding debts it might be wise to visit a financial counselor. Discussing objective ways to bring your debt down before retirement is extremely important to lead a sustainable life. In many cases, credit cards usually have the highest interest rates, followed closely by automobiles. Most experts will recommend dealing with your mortgage last because it usually has the lowest interest rate. At the age of retirement, term and permanent life insurance are commonly expensive. If you have the opportunity to purchase this insurance before you actually retire, it’s possible that you’ll get a better rate. If you believe that it’s possible you’ll need long-term care in the future, there is also a specific type of insurance for this. Overall, if you can afford it this type of insurance will cover what’s necessary if you’re unable to provide for your family. These are just some of the main things people retiring from trucking will want to consider. Are you thinking about your retirement? What considerations are you making? Let us know in the comments below!